I've been racing here at Aspire Racetrack in Doha,Qatar for about a year. We've started using a 17.5T motor in Blinky mode as a club race rule. This was our first season race composing of 6 consecutive races which we conducted once in each month. 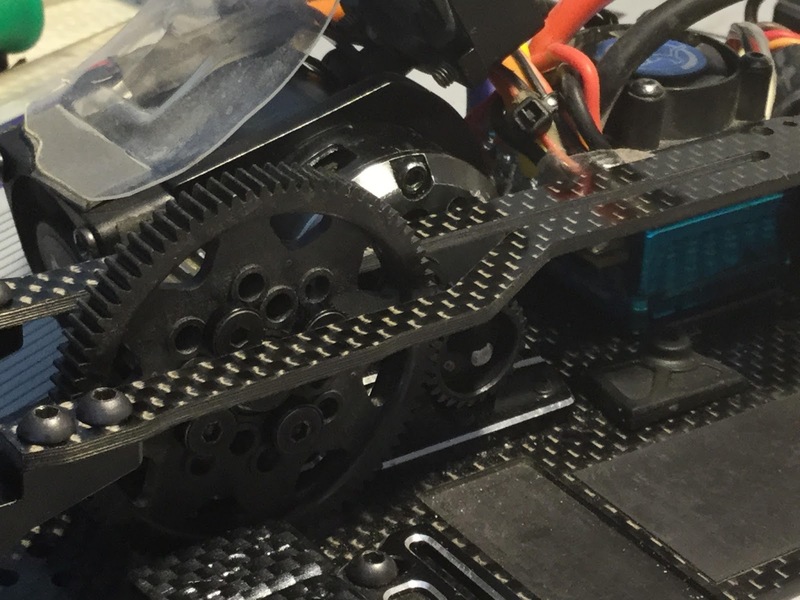 All participants are running on Blinky Mode where there are No Boost and Timing settings on the ESC but Timing in the Motor are allowed. And since the Group wants to level up and move to a more faster, We decided to end the season to 17.5T Open Boosted race. This is a race with no limit at all, you can use all the boost, timing, turbo, and all that are available for you to max out and burn possible your motor. On the other hand, what are those things that I have mentioned. It seems for me is new words that need to define and need to know more on how it affects the performance of the car. I read a lot of this words being tackle and shared among R/C groups and none of them explain better since each word could be similar or different depending on how the Racer use it. So I have to stumble upon this information during my research and I would love to share it with you. This information are not mine thus I'm not responsible for your motor nor your ESC getting burn. I believe this information regarding the ESC capability especially a Hobbywing ESC will make a difference with regards to tuning and selecting the best compromise setting you want to achieve. As we always say that each race driver has his own skills and different configurations whisuitits his driving style. So without further a do. Here's the list of important settings you might want to consider on setting your ESC to the OPEN/Boosted Category. Good luck! Boost is basically where the speed controller overclocks your motor depending on your actions on the track, it can with some classes really REALLY increase the speed, at the expense of heat as per usual. let me just say, this is NOT FOR BASHING as it will quickly burn out your motor, motors are not designed to be pushed outside their maximums for long. Right, the main difference this has to blinky, or zero timed racing is the dynamic timing. Blinky doesnt have this, as soon as it reaches top speed, thats it, boosted will add timing depending on the settings to make the motor turn faster than what its KV limit is, think it as VTEC in honda engines. Timing is where it sends a pulse at a different time so it forces the rotor to go faster to get to that location, if that makes sence, this increases speed at the expense of less torque and heat. this can be done on the end of the motor where the sensor plugs in, usually by undoing some screws and rotating it, with the speed controller, Blinky allows timing to be adjusted only on the motor, boosted allows both, but be careful either way! Sounds fun, now what do i need? 99% of the time, you need to change the firmware from zero timing to say mod or open or something like that, done with the usb programming. The Hobbywing v3 series can be changed using either a computer, or if you are desperate, you can do it directly on the LCD programming box. main thing you have to do now, is unless you font wanna run much boost and turbo n stuff, i really gear down. for 13.5, i was running about 8.7fdr for a large-ish track, as most of the speed is now down to boost, you can change gearing a bit depending, but really watch your temps. Boost controlled by throttle - again, self explanatory, do you want the boost to only apply when you are on full throttle or not. Turbo disengage slope - This is obviously the opposite of the above, but just as important, unless you are really confident in your setup, you don't really want the turbo to just instantly come off, so this progressively turns it off, so it doesn't unsettle the car as you get ready to slow down for the next corner. these may be different depending on what speed controller you run, make sure to look into your manual for corresponding setting names. Most of boosted classes is down to speed controller settings, so ask some more experienced users what sort of setting they run on a track, they will most likely give you a hand with sorting things out, use their setup as a baseline and change parts according to your driving style.